President of the Senate, Dr. Abubakar Bukola Saraki, has advised the Federal Government to ensure that its plans to put on trial the nation’s chief judicial officer, Hon. Justice Walter Onnoghen does not cause chaos and that the due process was not compromised. He said a situation where the petition which triggered the trial was submitted to the Code of Conduct Bureau (CCB) on Wednesday, January 8 and by January 10 on Friday, the Chief Justice was presented with it for his reply only for the charges to be drafted that same day and filed in the Code of Conduct Tribunal (CCT), all this taking place within three days and commencement of trial fixed for Monday, January 14, already indicate unnecessary haste and short-circuiting of the process of fair hearing. “It is important for the government and members of the public to know that as somebody who has traveled this route before, we should refrain from any media trial and political players should avoid abusing the judicial process in order to achieve what they could not get through normal political contests. Everybody who is being tried should be presumed innocent until proven guilty. That is the underlining principle of our justice system. “The proposed trial of the CJN has once again opened up the debate on the transparency and neutrality of the fight against corruption. The haste with which this trial is being pursued leaves a lot to be desired. From last Wednesday when the so-called petition against the CJN was initiated to the period the trial is scheduled to commence has been barely three working days whereas there are pending cases, where the individuals involved, have been indicted some months ago but no prosecution is being considered”, the Senate President stated. “All these subjective actions politicize the anti-graft fight. They weaken national institutions. They send wrong signals. The CJN is not above the law but his trial puts the entire judicial system on trial. It sends a signal to the entire world about our judiciary. It has implications for the confidence of local and foreign investors about the system of adjudication over disputes in our country. Thus, the matter should be handled with care, demonstrating intense transparency and strict adherence to due process. “This trial, coming just about a month to the commencement of the presidential elections, the aftermath of which the CJN and the judiciary he is leading are set to play a crucial adjudicatory role, has already raised suspicion about the real motive. There are already suggestions that this plan is set to disorganize the judicial arm after constant attempts by agents of State to undermine the federal legislature. “Therefore, the entire country and the international community will be watching closely every step in this trial because it is definitely unusual, unprecedented and will set a record in the engagement among the three arms of government recognized in our presidential system. 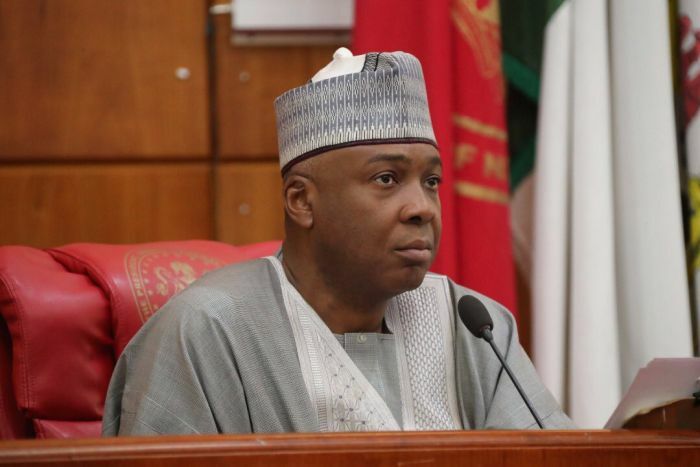 This trial definitely has implications for the principle of separation of powers and concept of checks and balance embedded in our presidential system of government”, Saraki stated.